Generally speaking, these are the communities serviced for wedding locations. 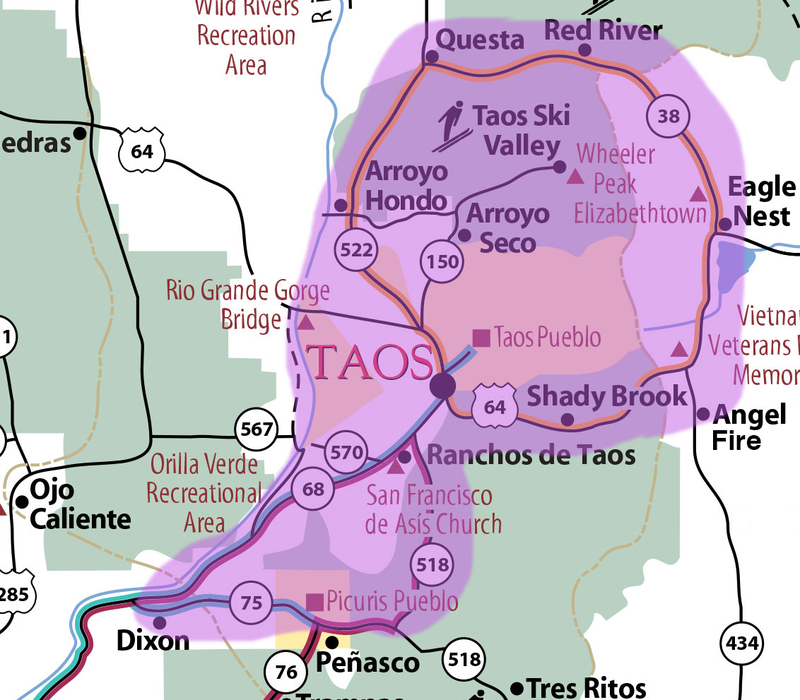 Questa/Red River to the north, Taos area to the west, Eagle's Nest/Angel Fire to the east, and Dixon/Peñasco to the south. Santa Fe and Albuquerque… come to Taos! The mountains are calling you!